1/2 oz. 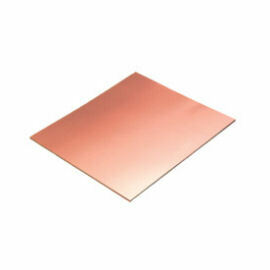 (18 micron), 59 mil thick, Copper cladded FR4 board material. Epoxy substrate with glass fiber enforcement. Includes pre-drilled set-pin holes.